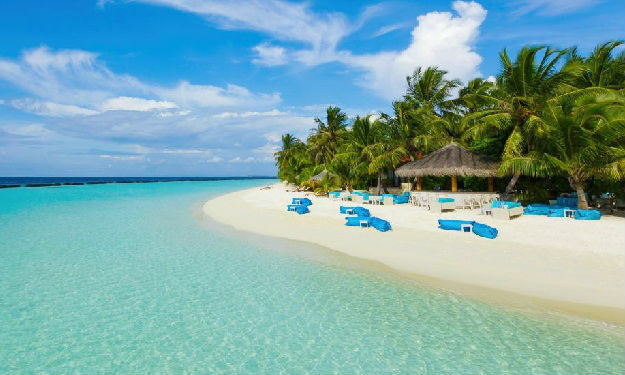 One of the largest islands of the Maldives, Palm Beach Resort & Spa is 2 km long and 400 meters wide and is surrounded by 4 km of white sand encompassing the lush vegetation. Feel the savor of the luxury in the Junior Suite situated on both sunrising and sunsetting sides of the island and enjoy the family escape from the daily routine in the two floors Villa, and for the ones who cannot wait to discover the unique environment of the Indian Ocean - the Club Diving Rooms, fully equipped and located next to the Diving Center are the right choice. 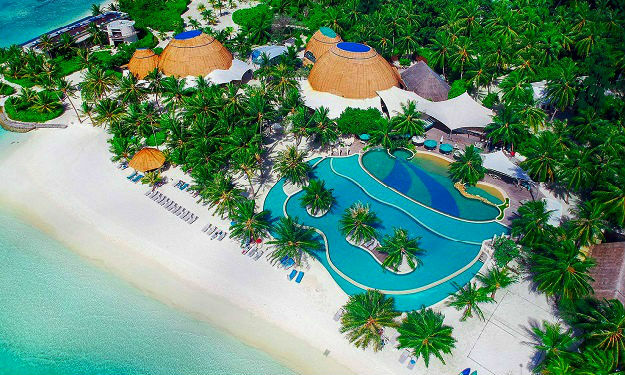 The island has all the modern facilities including health and recreation, from the tennis courts to the beach volley, a fully equipped fitness center and a large choice of water-sports activities. 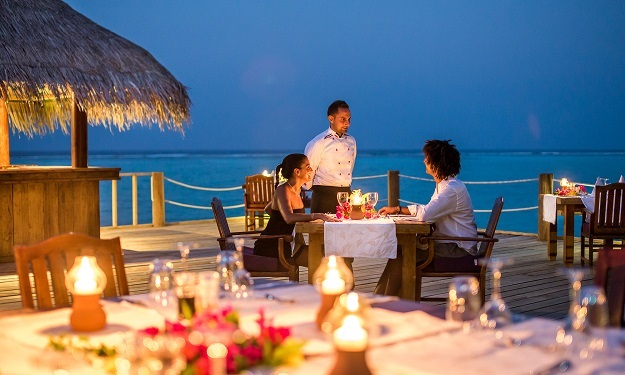 The 3 restaurants lead by the famous Italian experience, will give you the chance to enjoy a large variety of dishes, including the typical ones from the Maldivian culinary tradition in a relaxed atmosphere. 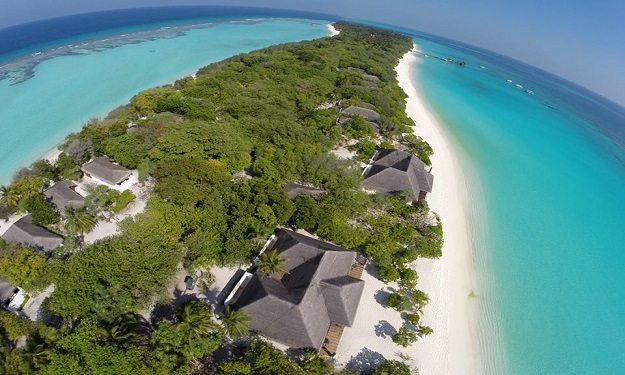 Junior Suites are large bungalows with ocean view, located on the sunrise and sunset sides of the island, with open area for bedroom and living area, a separate dressing area, an open air bathroom with shower and bath, large verandas with typical Maldivian Swing “Hindoli” and Ocean view. Located on the middle part of the island near the main complex of the resort, Garden Villas are set on two floors with open space and are ideal for families. The upper floor has the bedroom and balcony and the open air bathroom with shower and living room are on the ground level. Room facilities include airconditioning, safety deposit box, minibar, telephone, satellite TV, DVD player, hairdryer, free toiletries and bathrobes. 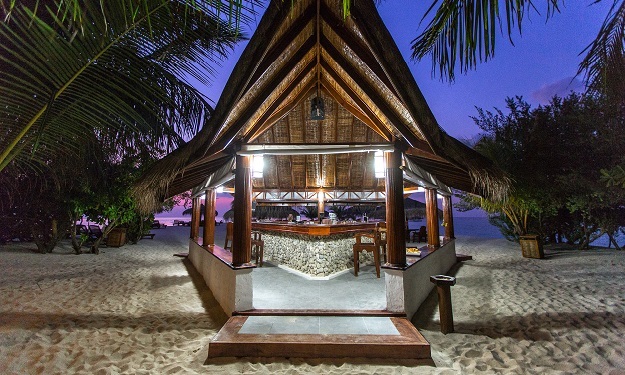 Located on the beachfront with private access to the beach and surrounded by lush vegetation, Villas comprise of a living room and an open air bathroom on lower floor and bedroom with balcony on upper floor. 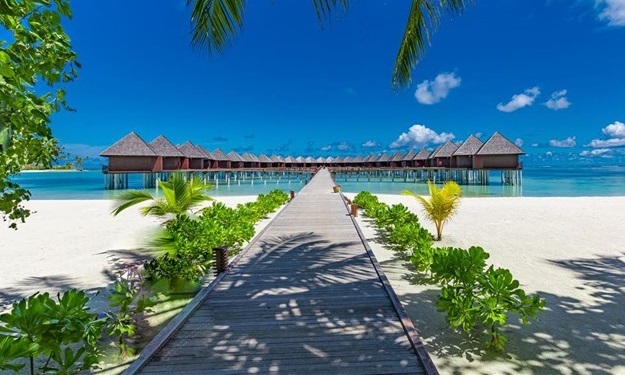 A luxury accommodation located on the beach with a large private beach front, the Suite Bungalows have a large living area and a bedroom, a separate dressing room, an open air bathroom with shower and bath, private large patio with table, chairs and sun beds. 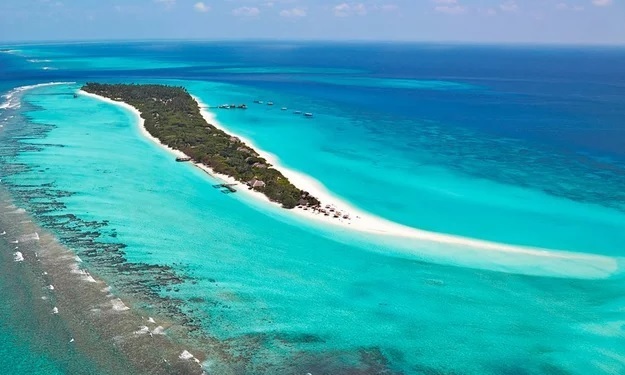 These rooms are beach bungalows with large bedrooms and living area, separate dressing room, open air bathroom with shower and bath, large verandas with typical Maldivian swing “Hindoli” and good ocean view. Wtach the sunset sitting outside your private patio. 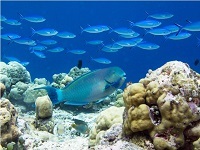 Located near the Palm Beach Diving Center, these rooms are the best choice of divers. 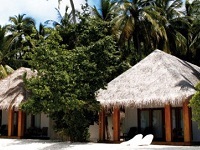 Furnished in Maldivian style with parquet, the rooms have sitting and large dressing area with shower. 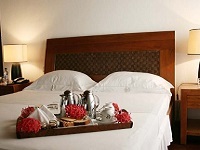 Room facilities include air conditioning, safety deposit box, hairdryer, bathrobes, free toiletries, telephone, DVD player, Satellite TV and minibar. The Presidential Suite has 2 sections with two large bedrooms with living areas and private access to the outdoor patio, open air bathrooms with bath and double shower and separate dressing rooms. The common living area is equipped with an 8 seats wooden table, sofas and a large TV screen. The Presidential Suite VIP service includes the private buggy car, personal Butler, possibility to have breakfast, lunch and dinner served in the room. Room facilities include air conditioning, safety deposit box, hairdryer, bathrobes, free toiletries, DVD player, satellite TV and minibar. Coconut spa is located in the central area of the island nearby the beach, a place where you can enjoy unique treatments while relaxing by the turquoise ocean. The Coconut Spa provides a wide range of facial, hand, foot, or full body massages and a lot of other treatments - all based on Balinese culture and tradition. Designed into 5 different areas, this 500 square metres Spa offers its unique setting including a cold swimming pool, a hot Jacuzzi, a sauna, a steam room, 5 couple and 1 single treatment rooms, aroma therapy floral bath with sea view, manicure and pedicure, hair treatment room and a boutique. Palm Beach Resort Diving Center (Padi, SSI and free diving), directly managed by the resort, offers the best dive spots for the experts, as well as a wide range of courses starting from the Discovery Scuba Diving to the Dive Master, including courses for children and for beginners. Discover a new underwater world, together with our certified divers or take-off with our local guide on a typical boat and explore the local spots during snorkeling excursion. With the Palm Beach Diving Center are also available for rent, underwater video and cameras, snorkeling, diving and free diving equipment. 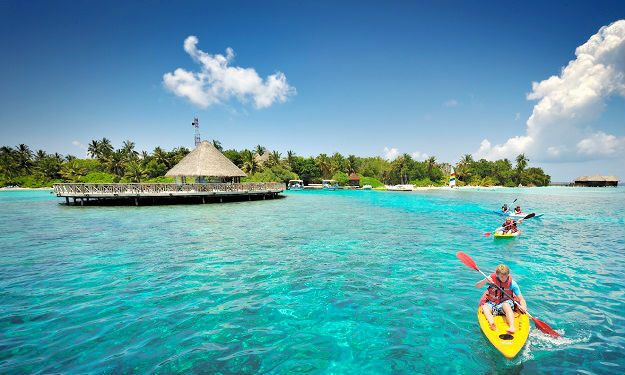 Canoeing, catamaran sailing, windsurfing and jet skiing are popular watersports activities at Palm Beach Resort & Spa. 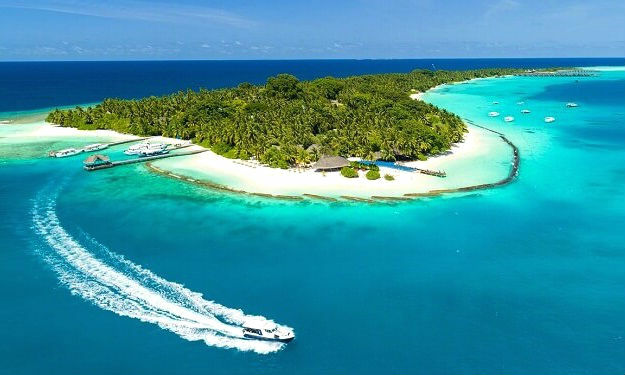 For the ones who want to discover the Indian Ocean and his secrets corner, deep sea fishing, big game fishing, half-day fisherman's island excursion, once a day snorkeling trips are possible. 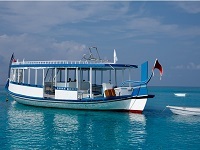 Also full day trips by dhoni - the typical Maldivian boat are organised with snorkeling and packed lunch. 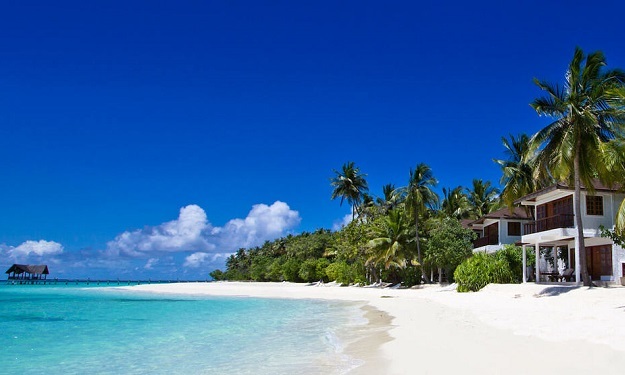 Do not miss out anything from what Palm Beach Resort has to offer. Get fit in the fully equipped 'Technogym' fitness centre, try your hand at tennis or squash or join a volleyball or football match. A paddle court, table tennis, pool table are also available. 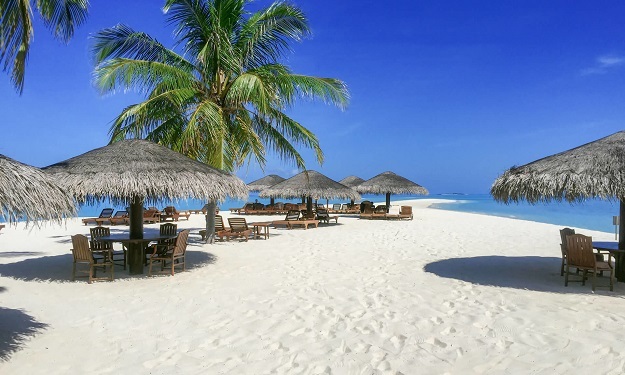 Saying “I do” looking to your loved one on a Maldives sandy beach in an event you always dreamed of will be something unforgettable. Personalize your wedding together with the experienced wedding organisers at Palm Beach Resort with the wedding package that includes: Ceremony on the beach with “BoduBeru” musicians, Adam and Eva couple massages, Dhoni Sunset Cruise, Room decorations, Wedding Certificate, Flower bouquet, Champagne bottle, candle dight dinner and photography service. Located next to the natural wonder of the Palm Beach sandbank, The Beach Bar offers a choice of salads and sandwiches during lunch time as well as cocktails, refreshments and fruit jiuces during the day. 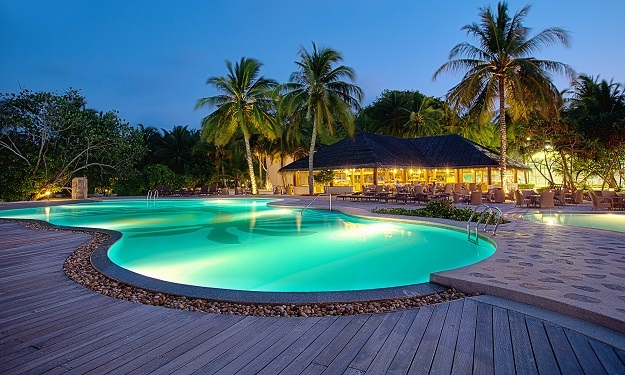 Located by the pool, this is the main location for parties and events on the island, offering a range of wines, cocktails, aperitifs, spirits as well as a selection of cigars. Located on the sunset side of the island, the Coffee Shop offers a continental buffet breakfast as well as afternoon tea with a selection of sweets and savory dishes. 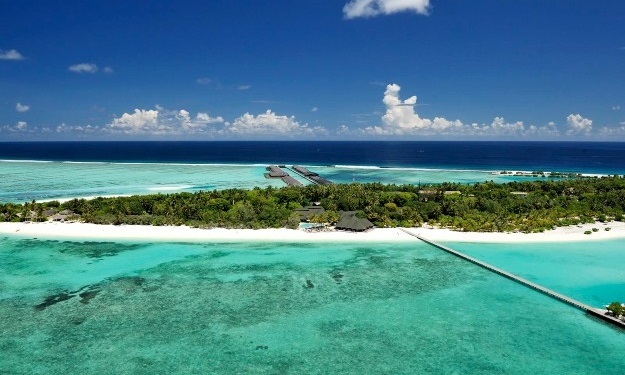 The overwater restaurant offers the possibility to enjoy breakfast served by the table and in the evening it becomes a fine à la carte restaurant. 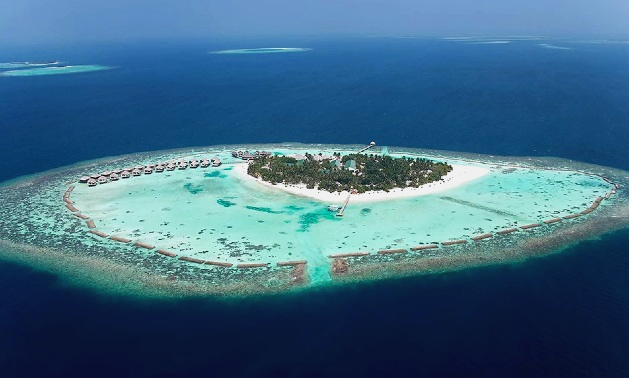 Surrounded by the Indian Ocean, our Chef will introduce you to the plates and bring you into a culinary experience that will remain in your memories of Maldives. 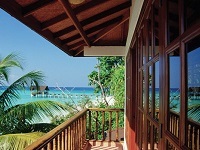 The main restaurant offers daily buffet lunch and dinner in a relaxed atmosphere. 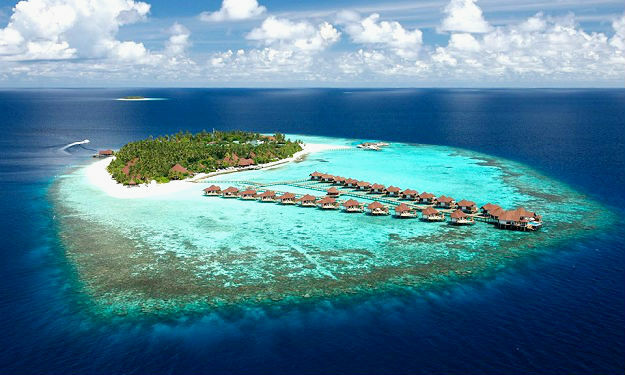 Once a week the Maldivian Chefs will take you in a journey into their food cultures and specialties.